The past seven weeks just flew by! 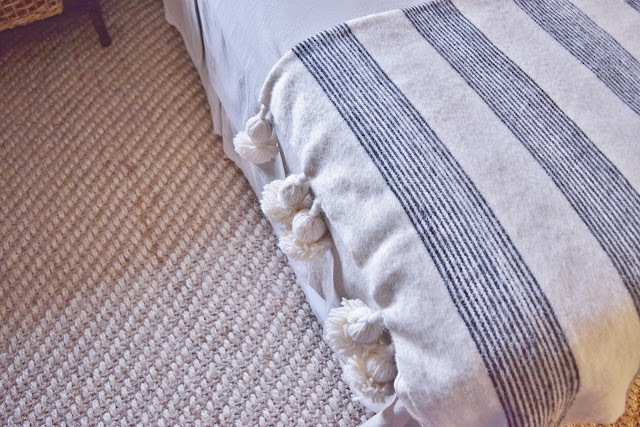 But I'm finally finished and today I'm revealing our guest bedroom makeover to you. I'm so happy how this room came together. The room is nice and bright now. I chose a neutral color scheme, layered in with lots of texture. It's a laid-back space for our guests to rest and relax. The dark walls made the room feel dated and even smaller. 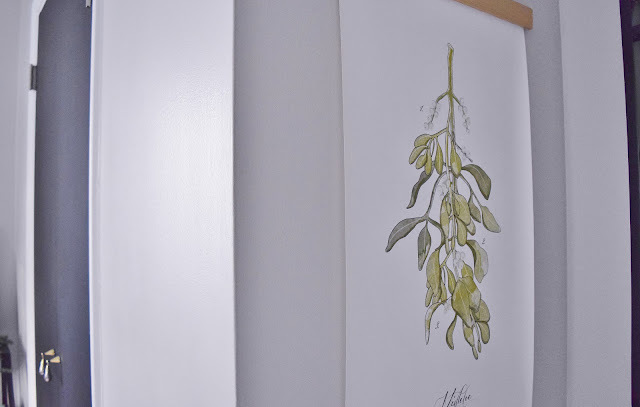 I painted the walls Benjamin Moore's Abalone matched to Glidden paint. The color is so pretty and a great backdrop. 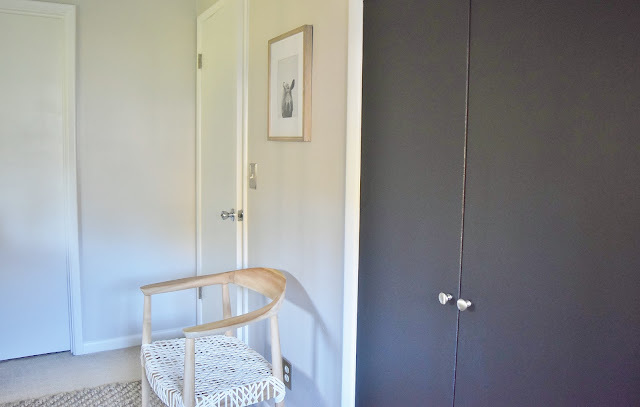 The closet doors are painted with Rustoleum Chalk Board Paint. It's durable and easy to wipe clean. 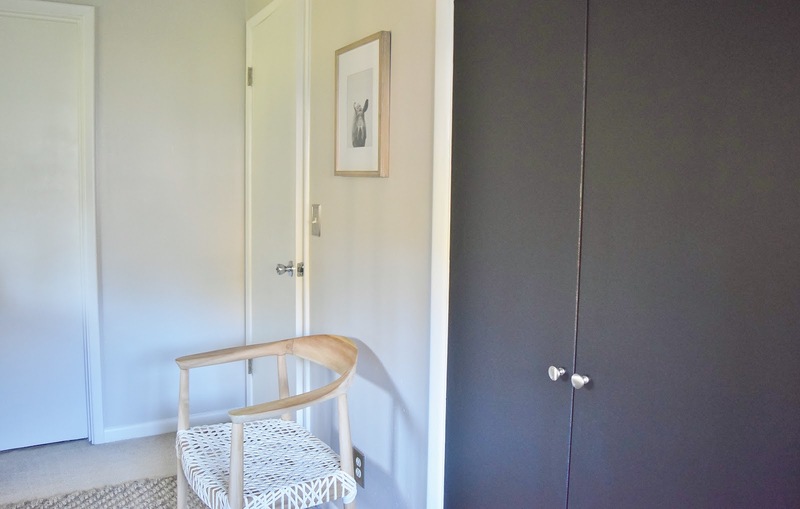 I used the same paint on my son and daughter's closet doors too. I love this chair from Safavieh! It's sturdy enough to sit on. The unique design really complements the room. The art, pillows and blanket at the end of the bed are from Etsy. I ordered a bunch of accent pillow covers for the bed, but decided to pare it down to a group of three. The arrangement feels more balanced. I used three Euro pillows in the back. I prefer natural fiber rugs. It's chunky, but thankfully the closet doors still slide over it. Although our guest room isn't very big, a bedside table was necessary. A basket provides additional storage for blankets and pillows. I have plants in every room! I kept this one alive outside all summer. Hopefully I can keep it alive inside too! This bench can also double as a luggage rack. My husband mounted the television and it looks much better on the wall. The Netara Planter is from Anthropologie. 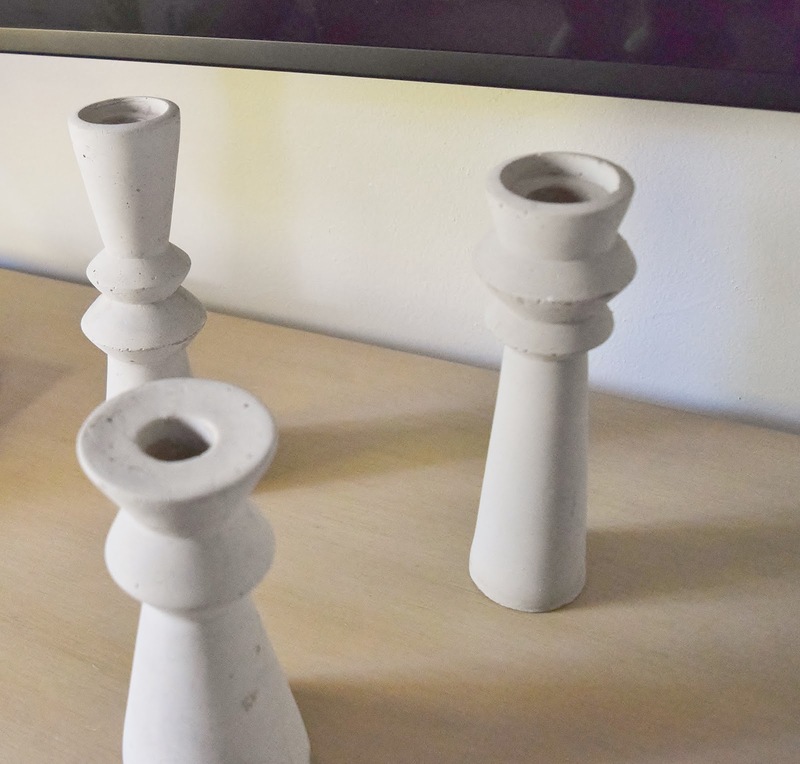 I love the shape of these concrete candle holders from McGee & Co; a favorite source of mine. I gave the headboard a new look with paint. I used my Finish Max Fine Finish HVLP Sprayer to give it a smooth finish. I truly hope you guys enjoyed this makeover! Your blog/Instagram comments meant a lot and encouraged me along the way. I sincerely appreciate your continued support. Although stressful at times, I enjoyed the experience and really had a lot of fun. Thank you so much Linda, Calling it Home for organizing the One Room Challenge. 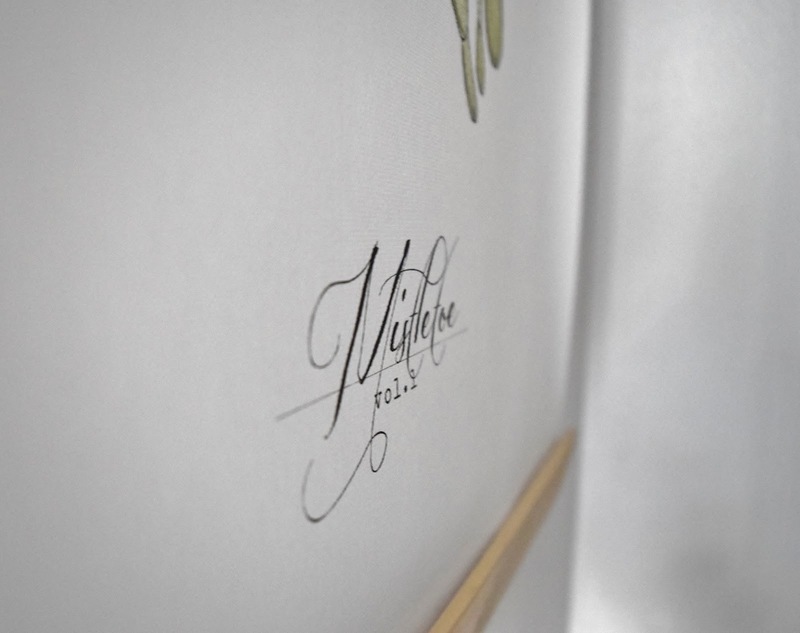 Be sure to check out all the other rooms revealed. *Thank you to HomeRight for providing me with the Finish Max Fine Finish HVLP Sprayer. All opinions expressed in this post are my own!